« Where's What - The geo quiz! Play "Connect Four" against the computer or friends from all over the world! 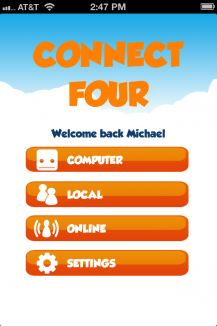 "Connect Four" is one of the most popular strategy games in the world, this app gives you three different game modes. "Connect Four" is a game classic for two players. 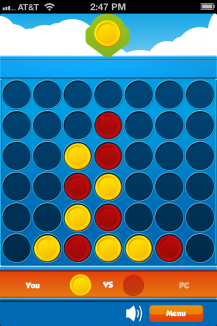 Goal of the game is to connect four discs of your color to a horizontal, vertical or diagonal line. Alternating, you and your opponent drop discs into the grid and try to complete a line of four discs against the computer, friends or strangers from all over the world! - Singleplayer: Play alone on one device against the computer Here you can learn "Connect Four" or train your strategy and tactics. Three difficulties help you in doing so. - Local Multiplayer: Singleplayer rules apply. The game is played on one mobile device. Try to beat a friend with logic by tapping on the columns and connecting four of your discs in one line. 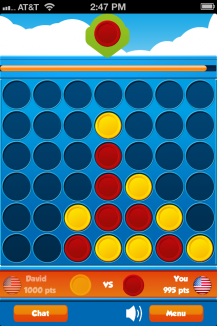 - Online Multiplayer: Play the classic against "Connect Four" players all over the world. Play on more than one device, given your opponent also has the free app. - Every online victory earns you points. - If you win an online game of "Connect Four" against an opponent, who has accumulated a lot of points, you'll get an accordingly higher score. 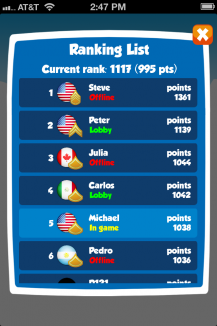 - The higher you score in games of "Connect Four", the higher you climb on the leaderboards. - You can start chats to talk with people all over the world, analyze your moves or just chitchat. - An online friend list makes it possible to invite your friends to a round of "Connect Four" without charge. - Our free "Connect Four" app is available worldwide. You can play against opponents all over the world online to show your logics and tactics skills, by connecting your 21 discs to a line of four before your opponent. 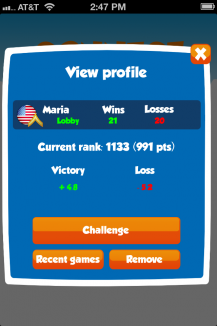 - You can always see which country your opponent is from. We hope you like our free "Connect Four"! And we're always happy about feedback (also critical) on our free online strategy game. Just send an email to our support address. Have fun playing "Connect Four"!